[Editor's Note: This is a guest post by Mark Hughes, CPA, CFE. This post was placed with his permission (and suggested by him). Have a plan. Take time to write a business plan and choose your location carefully, studying the patient demographics and insurance reimbursement maps relevant to your area. Get financing in place. Loan officers will show preference for the would-be practice owner who can detail cash-flow projections and repayment tables over a haphazard guess at financial viability. Meet with your accountant to make these estimates as accurate as possible. Enroll with insurers. Make sure your patient visit will be reimbursable by credentialing your new office with the local insurance companies. This process can sometimes take months so start well in advance of your grand opening! Choose a competent administrative staff. Finding a great office manager is the first step in running an efficient and cost-effective business. Look for someone who has experience in a medical office and has the personality to deal with both the physicians in the office and the patients who are your customers. If your administrative support staff won’t handle billing for you, hire an independent medical billing agency. Establish systems and controls. Bring your office into compliance with federal laws and industry standards by establishing strict systems for the office to follow and a way to control adherence to those systems. Fraud is an unfortunate reality of running medical practice, and we’ve seen clients without control systems later regret the oversight. An accounting firm familiar with medical practice management and who partners with an experienced attorney, can ensure your systems and controls are adequate for your office needs. 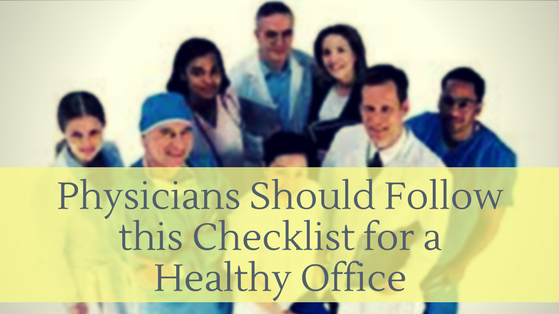 Starting a medical office is a big job, and getting good advice on how to do it right can make the difference between an office that thrives and one that nosedives. Finding an accounting firm that specializes in medical practice management can make that difference—feel free to contact us if you need assistance!